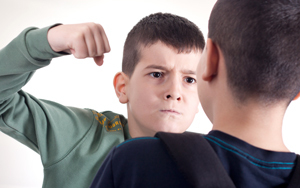 Some children with learning disabilities have problems controlling their behavior. They may be overly anxious or depressed, throw tantrums or scream, exhibit vocal “tics,” or engage in self-injury (e.g. head banging). Such behaviors may cause serious problems in school and interfere with the child’s ability to succeed in other settings. The first step in addressing these problems is a functional behavioral assessment (FBA)—an evaluation to determine the cause of the challenging behaviors so that an intervention can be developed and implemented. What is the Purpose of an FBA? An FBA aims to identify and describe the problem or target behavior and identify the factors that contribute to it—events that immediately precede the behavior, which set the stage for it, and the consequences that follow the behavior, which reinforce it. Why does the child engage in behaviors that impede learning? What purposes do the target behaviors serve for the child? When and where do the problem behaviors occur? How do the child’s behaviors relate to the environment? Challenging behaviors usually fall into three general categories: Children may be seeking attention or access to preferred activities or toys and haven’t yet learned positive ways to get their needs met; they may be trying to avoid or escape unwanted demands or undesired activities or events; or they may be seeking positive sensory feedback (e.g., lying on a cold floor or being squeezed between pillows, while inappropriate in certain places, might relieve pain or anxiety or help the child self-regulate). Recommendations for teaching alternative behaviors and skills along with an assessment of the child’s preferences for reinforcement should also be included in the FBA. The information should be sufficiently detailed to form the basis of a behavioral intervention plan specifically tailored for the student. If the interventions implemented are not based on the precise causes of the behavior, they will most likely be ineffective and overly restrictive. It is essential for an FBA to provide a baseline of the student’s target behavior across activities, environments, people, and times of day. Required data include how often the behavior occurs, the amount of time it lasts, its severity, and how long it takes it to begin after a trigger event. The FBA process includes observations of the child’s behavior in school and at home, as well as information from the student, teachers, and service providers. Data should be gathered from multiple sources, such as interviews, questionnaires, behavior rating scales, standardized assessments, and checklists. To gain an even clearer picture, the FBA may include manipulating the environment to place the child in various situations where his behavioral changes can be closely observed. When is an FBA conducted? When a student is subject to a disciplinary action and a determination is made that the student’s behavior is related to his or her disability.